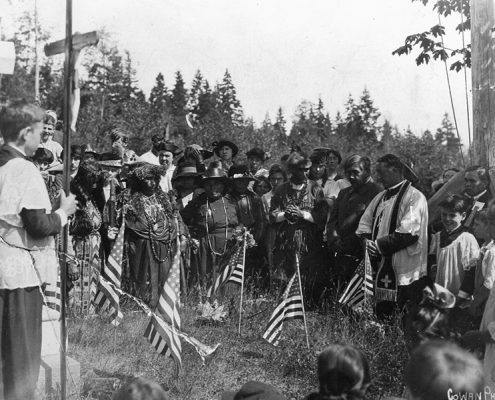 Chief Seattle Days is a 3-day public festival established in 1911 to honor chief Seattle, a famous leader of the Suquamish People for whom the City of Seattle is named. 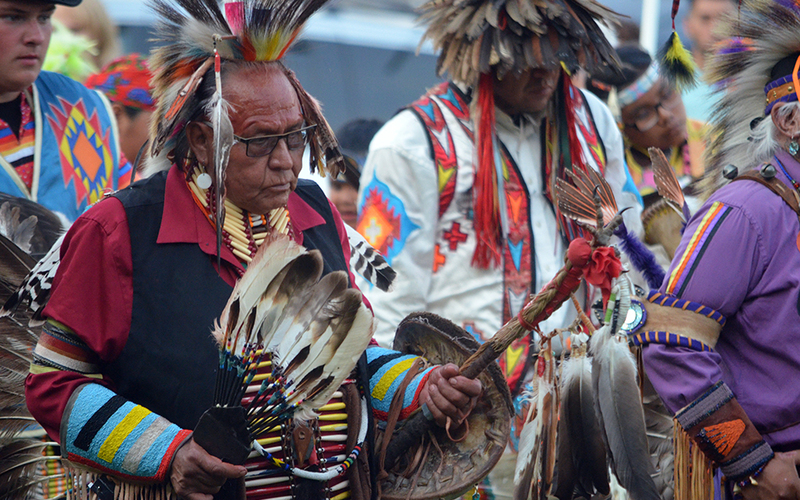 The first event was started on the current Celebration Grounds in Downtown Suquamish by local Tribal Members, community residents and civic leaders from the City of Seattle. 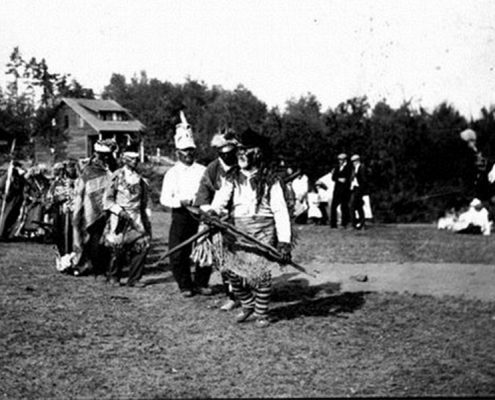 At the time, the new town of Suquamish was linked to Seattle by foot passenger ferries which allowed city residents to travel across Puget Sound and enjoy the celebration. 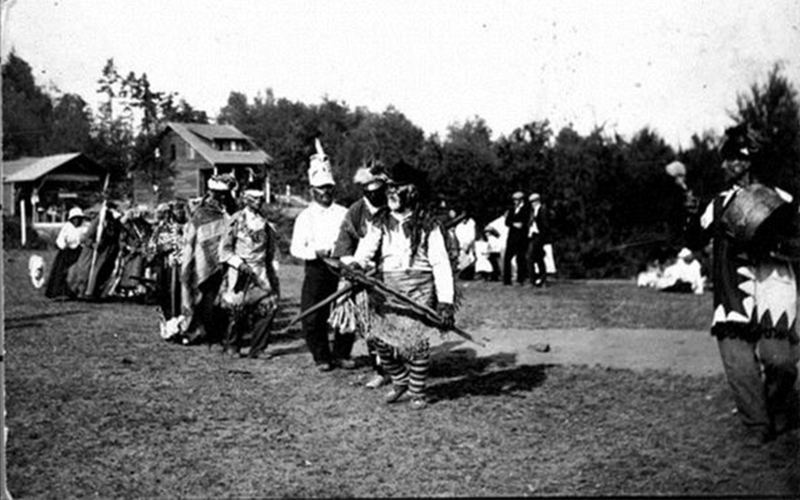 Many of the same activities from the 1911 celebration are still featured today including the traditional salmon bake, canoe races, baseball tournaments, drumming and dancing, and a memorial service for Chief Seattle at his gravesite in Suquamish. Throughout the years other events have been added to the celebration. 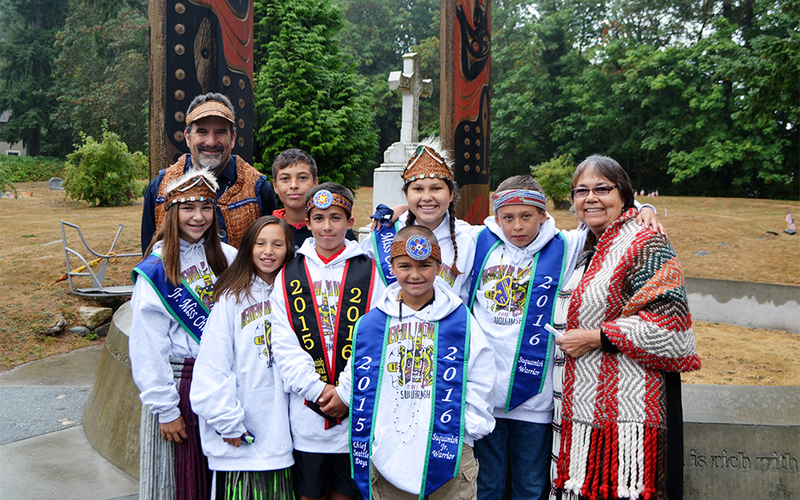 These include a Coastal Jam, Powwow, Fun Run, craft and food vendors and the Chief Seattle Days Youth Royalty Pageant. Learn all about participating in this year’s events by reading the excerpts below. 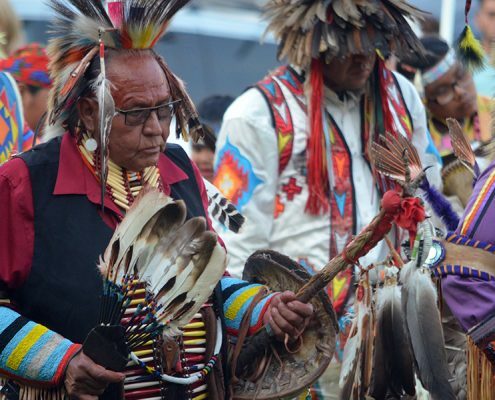 This year Chief Seattle Days will run from Aug. 16-18, 2019. Download the 2018 schedule by clicking here! Download an applications for the 2018 Chief Seattle Days by clicking here. Attention Suquamish Tribal Member vendors! Stop by the Tribal Center for your specialty vendor forms or contact Coordinator Ed Midkiff at (360) 434-4780. Thursday, August 16 at 9am at the new White Horse Golf Club. Registration is now full. 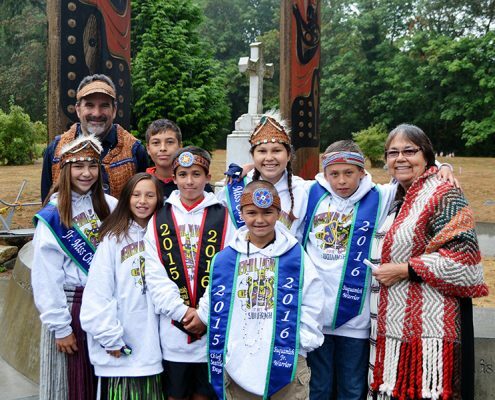 Friday, August 17, Suquamish Tribal Members and Descendants between the ages of 8 and 18 are encouraged to compete in the Chief Seattle Days Royalty Pageant. Youth will be crowned in Miss, Junior Miss, Warrior, Junior Warrior and Tiny Tot categories. The Pageant will be held at the House of Awakened Culture. Pageant applications coming soon! Saturday, August 18, 9am. 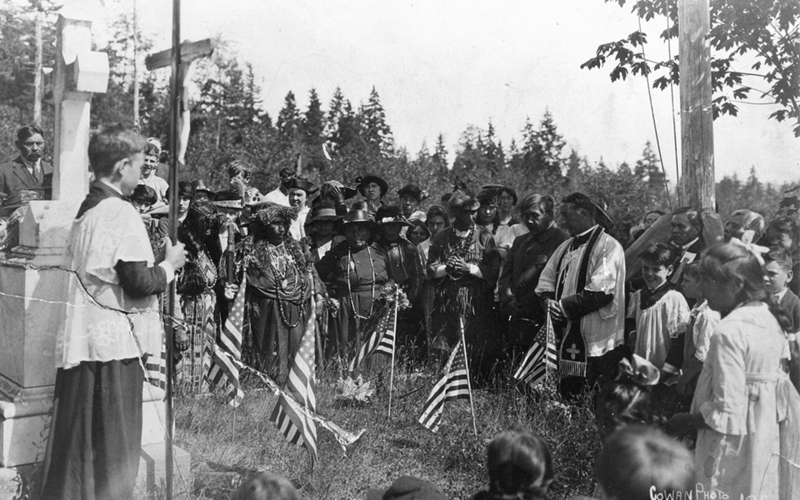 Join leaders of the Suquamish Tribe and community members in honoring Chief Seattle at a graveside ceremony for the famous tribal leader. Prayers, songs and stories are shared about the life of Chief Seattle, and the annual celebration named after him. Saturday, August 18, 10am. Community members and organizations are encouraged to join! No registration necessary. Simply bring your family-friendly costumes, floats and banners to the Suquamish Tribal Administration Building at 10am on Saturday for the parade line up. For more information about participating in the parade, please contact Ed Midkiff at (360) 434-4780. 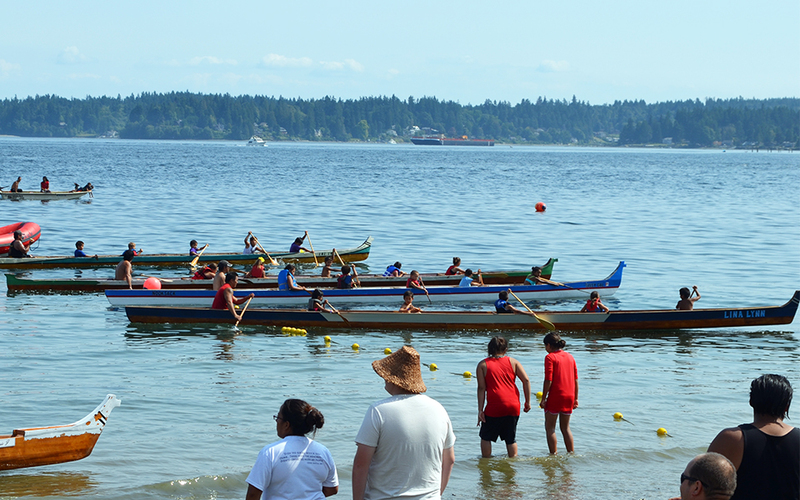 August 18-19, cheer on your favorite War Canoe Racers throughout the day on Saturday and Sunday. 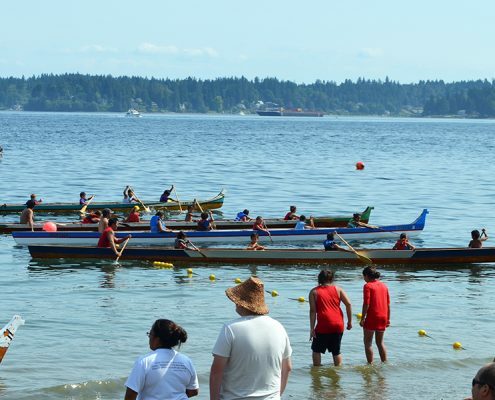 War Canoe Racing will occur along the waterways near the Charles Lawrence Memorial Boat Ramp in Downtown Suquamish. Click here for a Saturday Race Schedule and a Sunday Race Schedule. 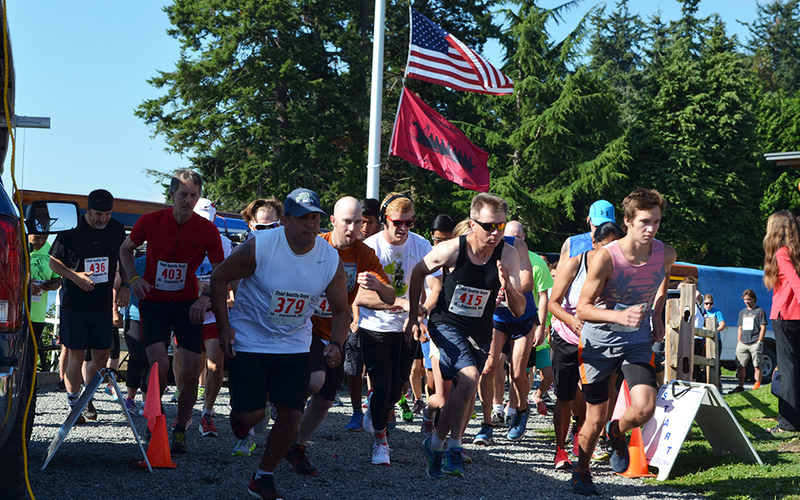 For more information about races contact Sports & Recreation. August 18-19 put a team together and celebrate the Adult Softball Tournament (16 and older). Held both Saturday & Sunday with prizes for the top 3 finishing teams. Click here for details! August 18-19, Saturday & Sunday, noon-5pm there are traditionally prepared Salmon Dinners for sale. The meal includes Alder Baked Salmon, Red Potatoes, Cole Slaw, Baked Beans, a Bread Roll and Bottled Water or Soda. The price of the meal is $10 for adults and $5 for Seniors and children under the age of twelve. Purchase tickets the day of the event at the Information Booth. 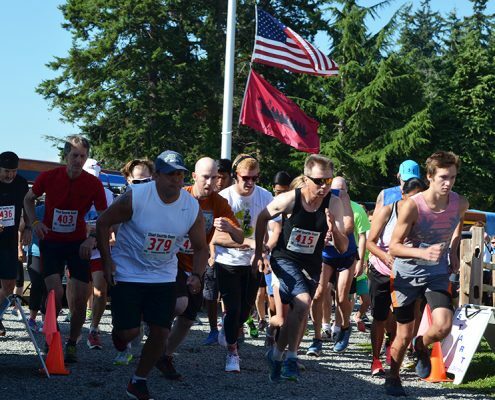 Sunday, August 19 at 9 a.m. A fun, scenic and challenging course that passes by historic cultural heritage sites in Suquamish such as Chief Seattle’s Grave, Old Man House Park, marine water and mountain views, and starts and finishes at the Suquamish Tribe’s beautiful House of Awakened Culture. Ribbons and t-shirts will be presented to the first five male and first five female finishers. The first male and female finishers will also each receive a commemorative blanket. Participant ribbons, t-shirts and refreshments will be presented to all other participants. Pre-registration at $15 per person and day-of-event registration (cash only on day of) at $20 per person. Click on the links for the route map and registration form. Free general parking is available in the paved lot adjacent to the House of Awakened Culture. Public parking will also be made available at the Tribal Administration Offices on Suquamish Way, and near Suquamish Museum on South Street. Elder and disabled parking is located in the gravel lot across the street from the festival grounds on Augusta Avenue. Arrive early! These areas have limited spaces available. Shuttles will be running throughout the weekend between Suquamish Clearwater Casino Resort and the festival grounds in Downtown Suquamish! For exact times, contact Suquamish Clearwater Casino Resort at (360) 598-8700. Limited camping is available on-site with preference given to Canoe Race participants, dancers, drummers and vendors. Hotels in and around the Suquamish area include Clearwater Casino Resort, Guesthouse Inn & Suites, Poulsbo Inn & Suites, Best Western Suites and Island Country Inn.